WEIDMULLER 1023300000. WDK2.5 1D A.2. 21-PIECE BOX of. Din Rail; 2" Bracket 6mm Screws. 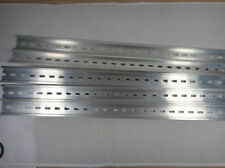 35mm Wide Aluminum Din Rail. 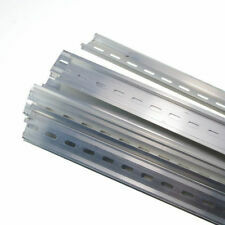 1 x Aluminum Din Rail. 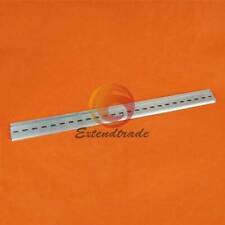 kH-TBR2 KOINO Din Rail Aluminum 1meter Length NEW!! Can be used to support mini. Screws included: 4 x #10 steel screws. Material: Aluminum. Color: Silver. These services include NO VERBAL CONFIRMATION WILL BE GIVEN, THIS MUST BE IN WRITING. The SKTDIN00 DIN Rail Mount 8-Pin Octal Socket is. 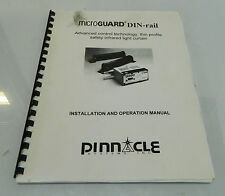 Title: Microguard Din-Rail Installation & Operation Manual. Grand Rapids, MI 49504. Is Being Sold in VERY GOOD to EXCELLENT Condition. Approx 30 Pages. Other information Therefore we strive to. SORRY, WE CAN'T BREAK UP THE LOT. This is a surplus item. Can be used to support mini. Screws included: 16 x #10 steel screws. Material: Aluminum. Color: Silver. Model:193-EPM1 Ser.A. 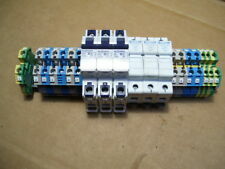 Allen-Bradley Din Rail Mount. Freight can be arranged by either our staff or the purchasing party. For security purposes, all of our parts are sealed and or marked so that they can be identified. Location: E85. Screw Connection. 1000 V, 57 A. Dark Beige. UPC: 683194548284. EAN: 0683194548284. GTIN: 00683194548284. ASIN: B0018L5WUI. For "refurbished" & "used" products, they are typically serviced, tested, cleaned, and ready to use (unless otherwise noted). 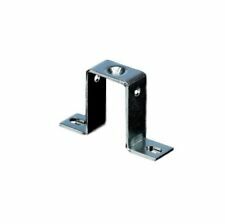 UNIVERSAL RAIL: Complies with international EN/IEC and RoHS standards. 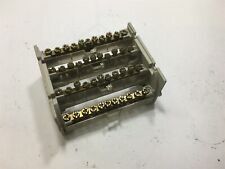 Used for support of mini circuit breakers. 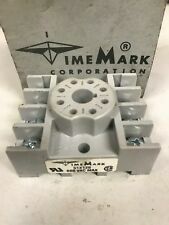 NEW LOT OF 3 TIME MARK 51012001 DIN RAIL MOUNTABLE 8 PIN SOCKET w/P.C. 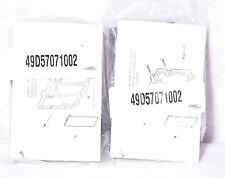 ITEMS ARE USED----HAVE NO MARKINGS ON THEM OTHER THAN THESE NUMBERS 70A188----4E06649007---ITEMS APPEAR TO HAVE BEEN MANUFACTURED IN GERMANY--- 3/16/JC. PULS QT40.242. Extra longlife version of QT40.241. Output Power 960W. 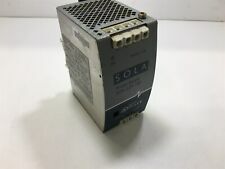 DIN-rail power supplies for 3-phase systems 24V, 40A. 40A at 24V. Harmonic Correction active. Input Inrush Current Limitation active. Load Side Wire Size Max:00AWG.No. of Poles:-. We will do everything we can to make sure you are happy with your order. You may need to sign in. Sports & Outdoors. SVHC:To Be Advised. Rated Current:175A. Item is sold as pictured. These services include. UPC: 683194548123. EAN: 0683194548123. GTIN: 00683194548123. ASIN: B00HPLC53C. For "refurbished" & "used" products, they are typically serviced, tested, cleaned, and ready to use (unless otherwise noted). Manufacturer: Amphenol. Item Weight: 1lbs. What's Included?. See photos. We try our best to provide full details of each item and any included accessories, but if it's not shown in the photos then it will not be included with the item. 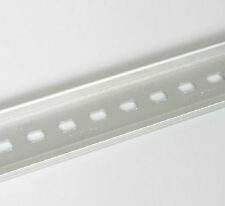 35mm din rail mounting. Module width. UPC: 683194548130. EAN: 0683194548130. GTIN: 00683194548130. ASIN: B00MMZ9NY0. This makes the import process very simple. For "refurbished" & "used" products, they are typically serviced, tested, cleaned, and ready to use (unless otherwise noted). Manufacturer: Moxa. Specifications: In perfect condition. Condition: Used.